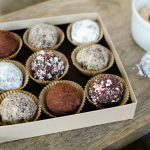 Absolutely delicious and so easy to make, these chocolate bourbon balls are the perfect holiday or hostess gift. Depending on the topping you choose, they are also naturally gluten free. Someone at Pat’s work made chocolate bourbon balls and he begged me for almost a week to re-create them. They are so easy to make and make a great holiday hostess gift or small thank you present. I’ve always been a bit in awe of truffles, but this version involves rolling slightly softened chocolate dough in your hands for a pretty yet professional rustic look. They are the perfect party companion for your homemade eggnog. I’ve seen similar versions floating around the internet with things like pumpkin added, but I love the dark chocolate and boozy flavors of this recipe from White on Rice Couple. Rolled in the toppings of your choice they not only taste great but look nice as well. 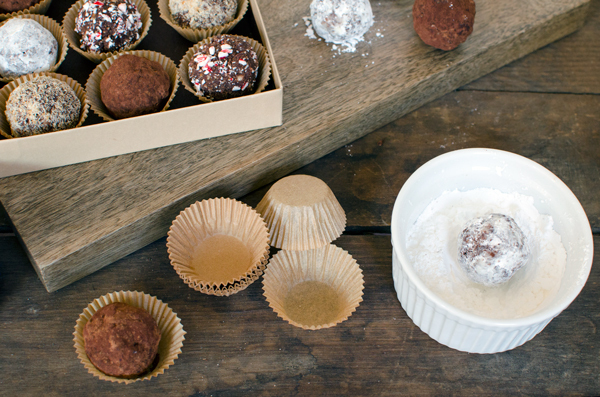 Absolutely delicious and so easy to make, these chocolate bourbon balls are the perfect holiday or hostess gift. They are also naturally gluten free. In a bowl, mix the Nilla wafers, pecans, confectioners’ sugar, spices, and cocoa powder until well combined. Form into even balls and coat in topping of choice. Chill for an hour. Serve chilled or at room temp. Baking Tips: Grind the Nilla wafers finely in a food processor. You can also use a food processor to chop the pecans, but the consistency should be more coarse than the wafers. I used these unbleached mini baking cups to make them look nice for gifts. If you’re looking for a booze-free or kid-friendly alternative, you could try coffee in place of the bourbon. 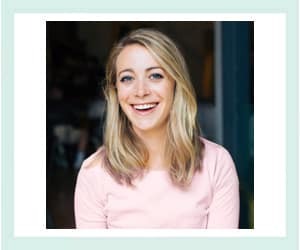 Awww, thanks Ashley! He’s an amazing husband and definitely sets the bar high. Mmm – the peppermint kind sounds like da bomb. Da bomb dot com. For real. 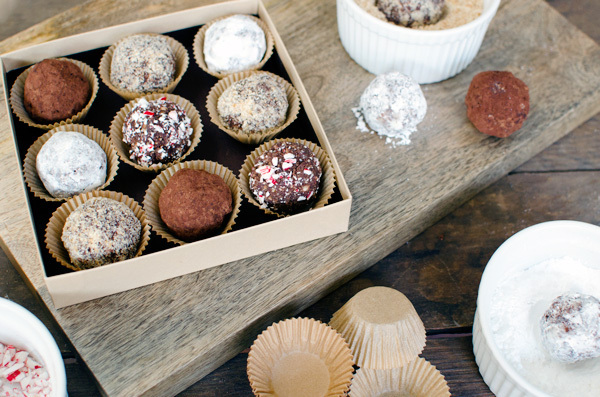 I’d be completely delighted to receive a gift of homemade bourbon truffles, these look super delicious! 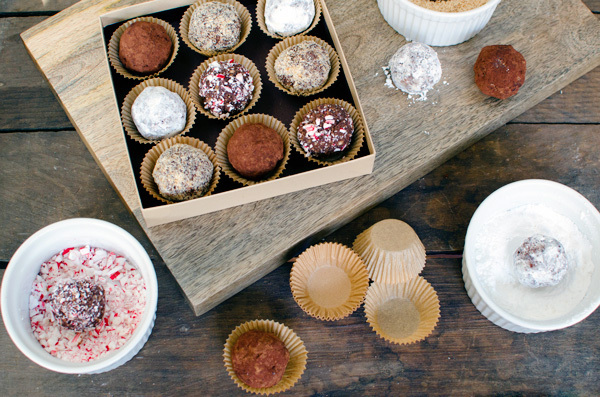 It’s definitely a great hostess gift! I made so many batches this year! YES! 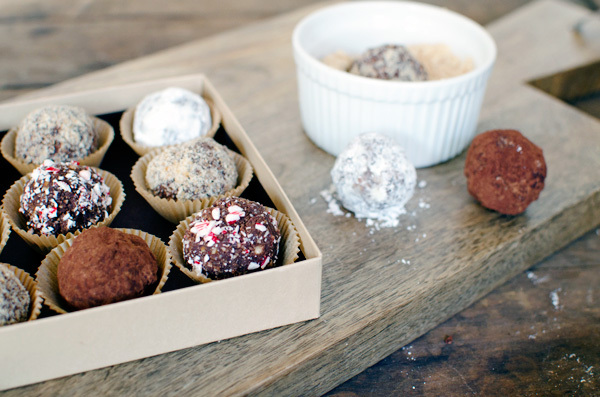 Boozed up truffle balls. Love it. Agreed! They shouldn’t really be so impressive, but they are! I’m struggling to see how these are naturally gluten free when they’re made with vanilla wafers.